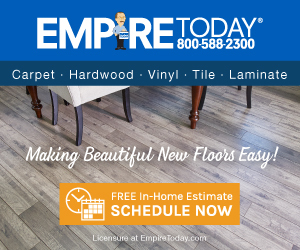 Customer satisfaction is our number one priority, and we strive to make beautiful new floors easy for all of our customers from their initial sales appointment process until post installation. We regret to hear that your experience did not meet your expectations, and we’d like to further discuss your concerns. We’ll be in touch with you shortly to start working on a resolution. The salesman came out and did a great job "selling" To bad he was full of it! First part was the financing, he quoted me $27000, to which I agreed. I then filled out the finance application which was only approved to 19k. That's when he told me that 19k was the most the finance company would lend and the rest would have to be cash or have my wife apply separately. SHOULD HAVE TOLD ME THAT IN ADVANCE. Long story short, the price miraculously dropped $1500...Moving on, he drew up the contract that stated that ALL of the old flooring would be removed and disposed of, the installation would start the following day at 9 and would be finished by mid day on Sunday. At 11:30 on Saturday the installers showed up and told my wife they would not finish Sunday as they do not work Sundays. Ok, strike two on the salesman but let's keep going. I was going out of town on a business trip and left with confidence in the installer (who were great guys). The project was completed on Tuesday and I got home that evening. The old floors were not removed, the new floors were simply installed right over the top. The installers told my wife that it was better that way and that it would be a benefit if we ever sold our house?! I called Empire to find out what the deal is and why I was being charged for removal and disposal if it didnt occur. Michelle in customer service stated that they would come back out and remove the old flooring, but could not remove the tile floor in the bathrooms or laundry room (even though the contract clearly stated they would). I was then told they would actually remove it but then I would have to hire a separate contractor to come out to prep and level those portions of the floor. I let her know that would not happen and if I had been told that in the beginning I would have never agreed. I then told her that I would be utilizing the cancellation agreement portion of the contract, as I was within the time frame (November 14th was the cancel by date) and they could come get their material. The agreement states you can cancel within 3 business days "without penalty or obligation". Michelle stated that I could cancel but Empire was entitled to come retrieve all of their material. 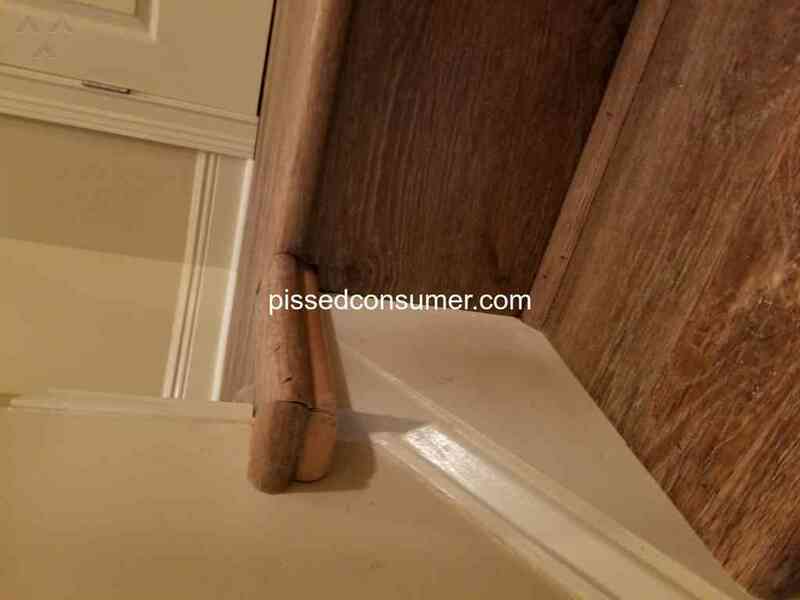 I agreed with her, stated she could come get it, but Empire would need to put my house back to the condition it was in, including repairing the 16 entryway door frames and custom molding surrounds that were cut in order to fit the new floors (I guess they were cut because they wouldn't fit since the old floors weren't removed as required). Michelle said she didnt agree to that. She ended up offering me a reduction of around 7K, said she would talk to her manager and would be calling me back. NOT TRUSTING A WORD THESE PEOPLE SAY, I went ahead and processed the cancellation agreement, sent a copy to their legal department as required (FedEx with signature required), I also emailed a copy to the salesman and called and verbally notified a customer service rep. As expected I never heard another word from Michelle, I have called multiple times with no success. The last 4 calls I have been told that they were unable to reach Michelle or her manager Paul, but a message was left and one of them would call me back the next day... You guessed it..
NOONE has ever called me back. However, they have processed the financing portion to the tune of 19k, which is not an ammount referenced anywhere in the contract or any other paperwork..
now I have a new floor, that you can still see the old floor underneath in one part.. I have a new floor that has assumed all of the issues of the old floor (warps, creaking, cracking) a new floor that I have to keep hammering down with a rubber mallet because portions keep popping up, and a new floor that makes popping noises when you walk over the transitions from wood to tile!! Review #1414293 is a subjective opinion of IncomparableEskimoDog308.